Infinit Nutrition will be offering the Go Far, Speed and Jet Fuel in transition. Infinit Nutrition will have some recovery products and potentially Cold Brew/MUD as well. Go Far will be out on the bike course. Speed will be out on the run course. INFINIT GO FAR has all the calories, electrolytes + protein you need to go all day long while still being isotonic and easy to digest without getting hungry. Go Far tastes great and is made with 100% all natural ingredients, zero artificial flavors, sweeteners or colors. INFINIT SPEED has all the calories, electrolytes you need to go all day long. The easy to digest glucose polymers and electrolytes allow for easy absorption, and eliminate any cramping or stomach distress during high-intensity anaerobic efforts. Speed tastes great and is made with 100% all natural ingredients, zero artificial flavors, sweeteners or colors. You’re getting ready for that weekend long ride, filling up some bottles of water or sports drink, and stuffing your jersey pockets full of bars, gels, chews, and a baggie full of salt pills. INFINIT can take the hassle and confusion out of nutrition. Just two scoops per bottle. One bottle per hour— it’s that simple! INFINIT Nutrition is an all-in-one nutrition solution that has everything you need to fuel all of your training and racing, from the sprint distance all the way up to Ironman and beyond. INFINIT was founded by athletes for athletes. Founder and ten-time Ironman finisher, Michael Folan, had a goal when he set out — to create a better sports drink. The drink had to provide enough calories and carbs to keep an athlete fueled; enough electrolytes to keep fluid and blood ion concentration in balance, while also being easy to digest even in the most grueling conditions. The product also needed to be an all-natural alternative to the dizzying array of sports nutrition supplements on the market, filled with high fructose corn syrup, artificial sweeteners, dyes, colors, and additives— Hence, the birth of INFINIT Nutrition. Simplicity. INFINIT does the thinking for you, so all you have to do is drink your stuff and go. The all-in-one formulas provide you everything you need to go all day — No bars, no gels, and no food needed. Osmolality. INFINIT blends are designed to be “isotonic” and easy to digest and absorb into your system. Giving your muscles everything they need to keep cranking, without causing any stomach distress. Carbs are your body’s main energy source during activity. Supplementing carbs while swimming, biking, and running ensures your muscles have the fuel they need to keep going strong, all day long. INFINIT formulas contain three different carbohydrate sources (maltodextrin, glucose and sucrose), which enables your body to process calories up to 30% more efficiently than the majority of other products on the market. Protein in INFINIT’s endurance formulas keeps you from getting hungry even on the longest rides. They offer a premium whey protein isolate, as well as a vegan alternative for those avoiding dairy or following a plant-based diet. INFINIT’s exclusive electrolyte blend matches the average athlete’s sweat composition, and contains essential salts that eliminate muscle cramping by rehydrating the body gently and replenishing the minerals lost through sweat. Customization. Different people, different paces, different weights, and sweat rates — a one-size-fits-all bulk powder is not the answer. INFINIT allows you to customize your formula to have your desired amount of calories, electrolytes, flavor strength, carbs and more, creating the right nutrition for you and your goals. INFINIT Nutrition custom blends have helped athletes of all calibers perform at the highest level of their respective sports. Many of these athletes use Custom Blends that are dialed in just for them, others swear by the Preset hydration and recovery formulas. 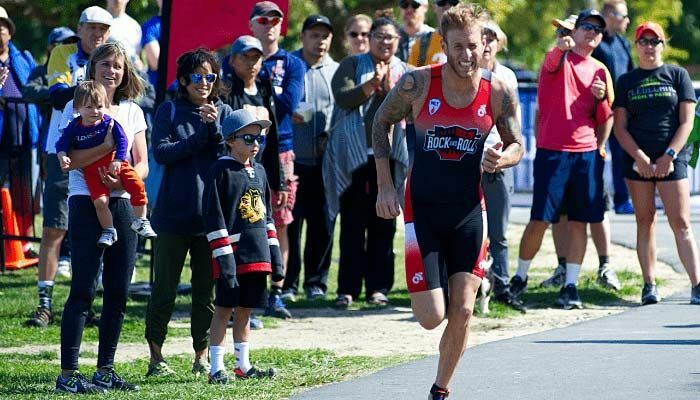 Triathlete Matt Russell finished 6th overall at the 2018 Ironman World Championships using his own Custom BIKE and RUN Blends. Lauren Goss, 70.3 distance champion, rounded out her 2018 season on a high note taking the overall win at 70.3 Cartagena using her INFINIT Custom Blends. Olympian and pro triathlete Andy Potts finished 7th and 8th overall in the 2017 and 2018 Ironman World Championships, respectively, using his official Andy Potts Custom Formulas. 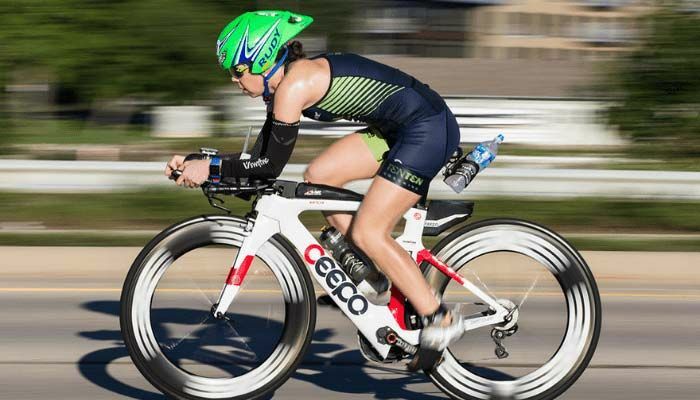 Fitness and triathlon influencer Ginny Cataldi has used INFINIT to power her through 2 Kona World Championship races. Even if you are an athlete who is never going to make it to the top of the podium, INFINIT can help simplify your training and race day fueling so you can focus on anything BUT tallying up salt tabs and stashing away gel wrappers. INFINIT Custom and Preset formulas have helped countless pros and everyday athletes stay hydrated and feeling good when out enjoying a long ride or toeing the line at a local race. Proper recovery after training and racing is crucial to getting the most out of your training, and ensuring the body has the nutrients it needs in order to repair, rebuild, replenish, and rehydrate. The recovery process is what actually allows the body to adapt in order to become stronger and faster. Without proper recovery (which includes several factors like proper nutrition and sleep), the body will be in a constant state of breakdown and your fitness level will plateau. Recovery gets taken to a whole new level with an event like the American Triple-T.
With 4 races over 3 days, if you’re not refueling immediately after each race, your putting yourself at a disadvantage to your competitors and to your own personal race goals. Normally, the answer might be ‘no,’ and you could probably get away with just eating dinner an hour or so later. But with 3 more races over the next 2 days, and just over 12 hours until race #2 (not to mention, the races progressively increasing in distance), the 30 minutes immediately after this hard effort is the perfect time to get in a recovery drink. Immediately after, your muscles are primed to take in that nutrition and stock your muscles with carbohydrate (aka glycogen) that you will be able to tap into the next morning whether you’re taking on the American Triple-T Sprint or Extreme. You should continue this recovery cycle after each race on Saturday, especially after the Saturday morning race, considering you only have 4-6 hours until you have to get back out there and do it all over again. Having that recovery drink as soon as you’re done will help ensure a quick and timely refuel for the muscles and allow you to continue to perform at a high level. REPAIR (available in chocolate and vanilla) should be your go-to recovery formula after each race. With 60 grams of carbohydrate, 15 grams of protein, plus branched chain amino acids (BCAAs) and glutamine, you’ll be ready to rock that next race and finish the weekend strong! NOCTURNE (available in chocolate) is great for nighttime recovery. If you’re looking for that extra edge to really top off your muscles and help make sure you get a good night of sleep, try a serving 30-60 minutes before you go to bed on Friday and Saturday night, and wake-up feeling refreshed and ready to take on the races. 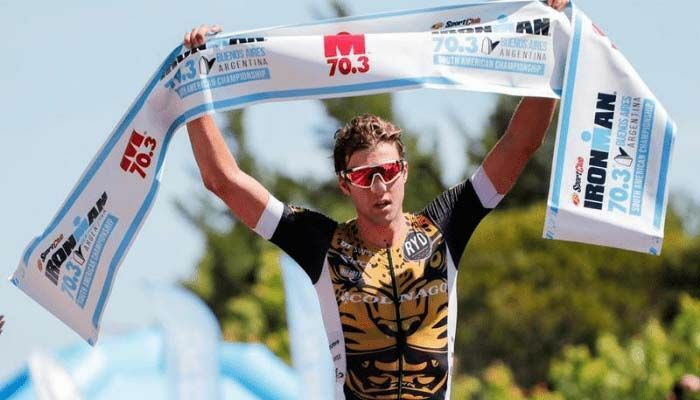 The individual athlete is what INFINIT focuses on. INFINIT offers free consultations and Custom Blend set-up services so they do the work for you. They have a full Customer Support Team of Registered Dietitians and athletes who will take the time to get to know you, your training, and your goals. If you’re interested in getting your own custom blend set-up, you can schedule a free consult or take a look at the 5 Hour Challenge! Your personal INFINIT Formulation Specialist will walk you through everything you need to know about how to carry, fuel, and stay hydrated with your INFINIT Blend no matter what you’re doing — from sprint distance to full Ironman, marathon running and everything else in between, INFINIT can help you find the perfect sports fuel formula for you! No need to pop salt tablets, gels, or bars. No need to keep track of how much of this or how much of that you took in the last hour or ten miles. Let INFINIT do the thinking for you. Simply drink your stuff and go all day long!